We are in the midst of one of my favorite months to celebrate in the library, Picture Book Month. In 2013, I started brainstorming with several dynamic librarians across the country a way for us to celebrate the close of the month. Jenny Lussier, Cathy Potter, Shawna Ford, Kathy Kaldenberg, and I created the very first Picture Book Smackdown which was held via Google Hangout on November 21, 2013. Authors Laurel Snyder and Ame Dyckman joined us as well. For one hour, we all shared as many picture book talks as possible. This was the beginning of an annual event that is now in its 6th iteration. 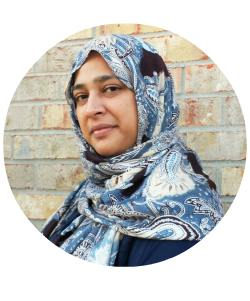 This year we are also very excited to announce that we will be joined by author, Saadia Faruqi. 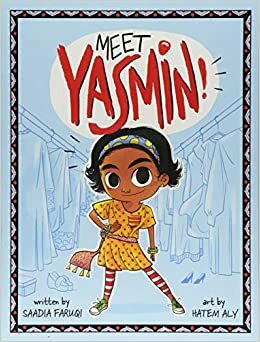 She is the author of Meet Yasmin!, Yasmin the Fashionista, Yasmin the Painter, Yasmin the Explorer, and Yasmin the Builder. I‘ve put together a Smore which will be a place holder for our live broadcast on Youtube Live. Even if you can’t join us, you can watch the archive of our smackdown via the link on the Smore. Watch live with your class! We will of course continue reading and sharing picture books all year long, but we want to end November with this special event. This year’s Picture Book Smackdown is once again dedicated in loving memory of Dianne de Las Casas, founder of Picture Book Month. We lost Dianne in a tragic fire, but her legacy of advocating for the importance of picture books in our world lives on. 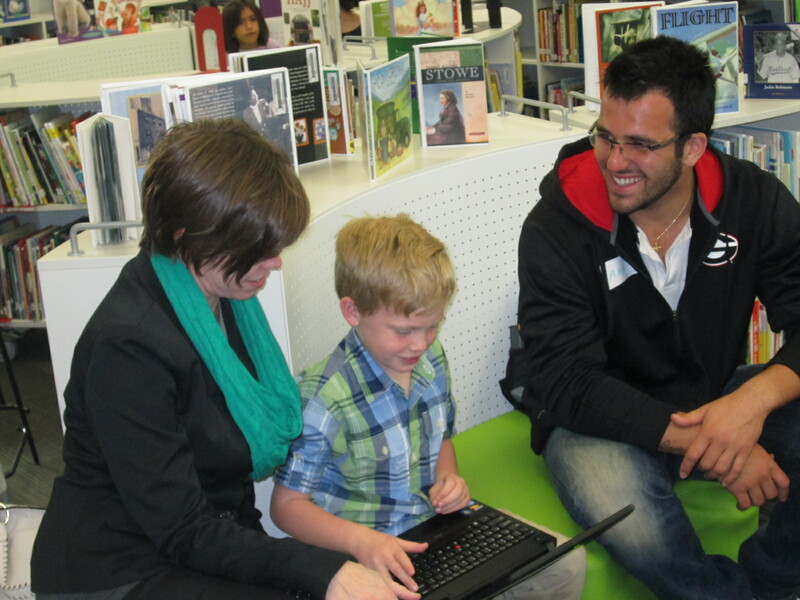 Each year we looking forward to celebrating the joy of reading aloud during LitWorld’s World Read Aloud Day. This year’s official date was February 16, but we celebrated the entire week. It takes a lot of organization to pull off a week full of Skypes and Google Hangouts. Planning began back in December. Shannon Miller and I created a Google doc where people could share their World Read Aloud schedules. Kate Messner also did a great blog post with a list of authors willing to do Skypes during the week. I got my teachers to sign up for slots, and then I started looking for connections on the Google doc. Other librarians also signed up on my schedule. 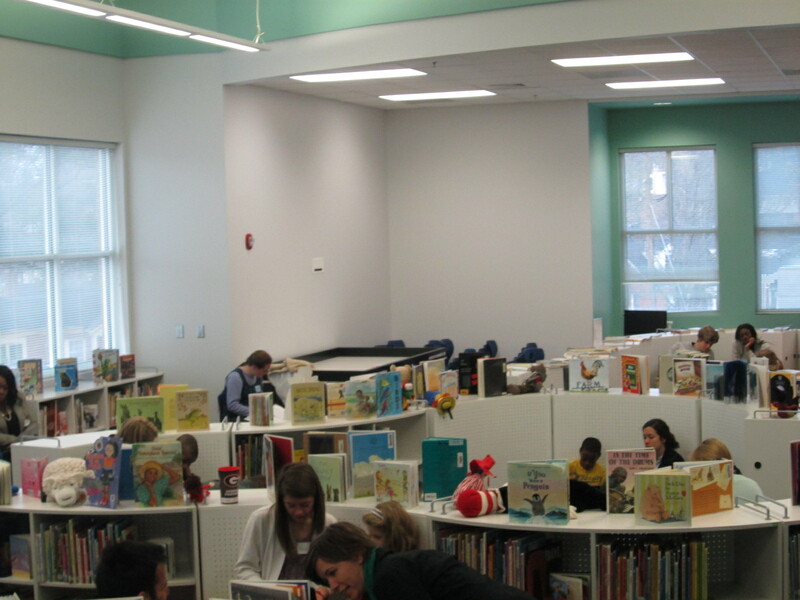 Once all of the slots were full, our connecting authors and schools started communicating to decide which books to read. I made a separate spreadsheet for myself to keep times, books, Skype names, and email addresses organized. Of course, weather and illness was a factor and caused a few cancellations during the week. Even with some cancellations, we still had a full week of connections. We also experienced many technical difficulties with our internet filter and I had to communicate with our technology director on a daily basis to make sure that Skype and Google Hangouts was not being blocked by the filter. A growth mindset and perseverance really helped push through the issues. Over the course of the week, we connected with schools in Georgia, Washington state, Missouri, Vermont, Connecticut, Michigan, New Jersey, Maryland, South Carolina, Kansas, Texas, and Illinois. We also connected with authors Dee Garretson (Boxcar Children), Hannah Barnaby (Bad Guy), Paul Fleischman (Seedfolks & Joyful Noise), and Jason Chin (Gravity & Grand Canyon). The week was filled with many special moments. Students were able to ask one another questions about their lives and make connections to students in another location. Each connection helps us realize we are all part of the same world and have more in common than we realize. We wove in a lot of map skills my looking at Google maps to see distances from Athens, Georgia to our connecting schools. Students were able to talk directly with authors and ask them questions about the writing process. Authors like Paul Fleischman turned around and open his filing cabinets to show us the original version of poems like Whirligig Beetles. We had fun performing stories with students in two schools and hearing special songs performed by PreK students. We were entertained by middle school students reading Ballet Cat and chanting out the text of Yo! Yes! with students in Seattle. We also got to connect with Caitlin Ramseyer who was a teacher at our school last year and moved to Maryland. It was fun to reconnect with her and her Kindergarten students. If you’ve never tried Skype or Google connections, I highly encourage you to do it. These events lead you to collaborative partners around the world and help our students step outside the bubble of their everyday lives. We Need Your Votes for the 2017 Barrow Peace Prize! It is time once again for the annual voting on the Barrow Peace Prize. This award was established 3 years ago by our 2nd grade. Each year students select up to 6 nominees from history. We hold a Google Hangout with the entire 2nd grade to decide what criteria someone must exemplify in order to win the prize. This year, we read the book Peace is an Offering by Annettee LeBox before brainstorming our list on a Google doc. Each student in 2nd grade selects one of the nominees to research. 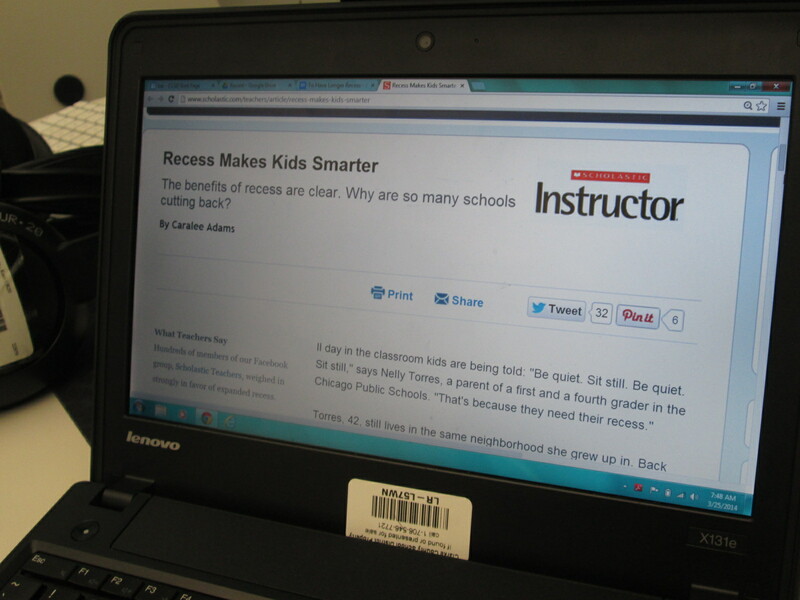 Students research these people using PebbleGo, Britannica School, Destiny Quest web resources, and books. Using Google Classroom and a Google doc graphic organizer, students gather facts about their person and use those facts to write a persuasive essay during writer’s workshop. In art, students create a watercolor image to represent their person. Back in the library, students use Flipgrid to record persuasive essays and showcase their art. Now those videos are ready for you to view. We need you to view, vote, and share! View videos for each of the nominees. This can be done as a class, individually, and can be shared with anyone you know. Feel free to click the heart on any video to “like” it because the kids love that! Voting will end on February 24th where we will announce the 2017 Barrow Peace Prize in a Skype with Flipgrid. Two 2nd grade students designed a 3D peace prize that was printed on our 3D printer and every student who researched the winner will receive one of the medals along with each 2nd grade classroom. Thank you for participating in our project, and we can’t wait to see who you pick! Each year, our 2nd grade takes on a big research project that has evolved into a project called the Barrow Peace Prize. Students research one of six people from black history, write a persuasive piece convincing people to vote for their person to win, and record their writing using Flipgrid. These videos are shared with the world along with a Google forms voting ballot. We celebrate the winner with the Flipgrid team via Skype. This year’s project is off to a great start, and I’m amazed by what these 2nd graders are doing with their technology, especially since they aren’t 1:1 in their classes. 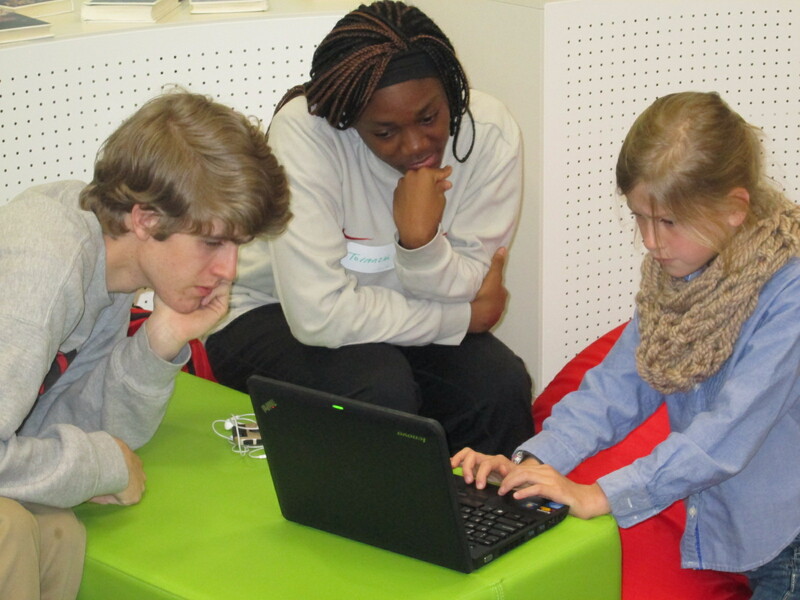 With fewer devices to practice on, it takes these students a bit longer to navigate tools on the computer. To start, each student chose one of six people: Langston Hughes, Wilma Rudolph, Bessie Coleman, Jesse Owens, Charles Drew, and Ruby Bridges. Using Google Classroom, each teacher shared a Google doc graphic organizer with students. In the library, students brought class computers and I provided additional computers so each student had one. We did a review of how to login to Google and navigate to Classroom to get the doc. I also showed students how to click between tabs in Chrome, how to copy and paste facts, and where to look for information. Students started in 2 resources: PebbleGo and Encyclopedia Britannica. I love these sites because they have great information and both will read the content to students who need that extra support. I debated about teaching students how to copy and paste because I don’t want to set students up for just copying. However, we wanted students to have access to a collection of the best facts when they prepared to do their writing without having to weed through all of the articles. The writing workshop time would be the time to focus on taking those copied facts and put them into students’ own words. We did 3 hour-long sessions of research. Each session we saw students get more proficient at navigating the technology, and even in the frustration we faced, I reminded myself and the teachers to step back and really look at what 7-year olds were doing. Students were logging into email, accessing Google Classroom, finding a Google doc, visiting multiple resources, using ctrl C and ctrl V, keeping track of where facts came from, and leaning to use the research tool in a Google Doc. This list could definitely be added to because there was a lot more. Once facts were gathered, teachers began writing workshops in their classrooms for students to start writing scripts for their videos. Prior to this, we held a Google Hangout where all classes tuned in from classrooms. The purpose of this was to establish a list of character traits that someone who is deserving of the Barrow Peace Prize might represent. We read about Alfred Nobel and looked at Malala and why she represented peace. Then, classes added to a Google Doc to create a list of these character traits. This list was displayed during writing times for all students to consider in their writing. Now, students are continuing to fine tune their writing before recording takes place. We can’t wait to share the videos with our school, families, and classrooms around the world. Be on the lookout for a post in the next couple of weeks inviting you to view and vote for the 2016 Barrow Peace Prize. 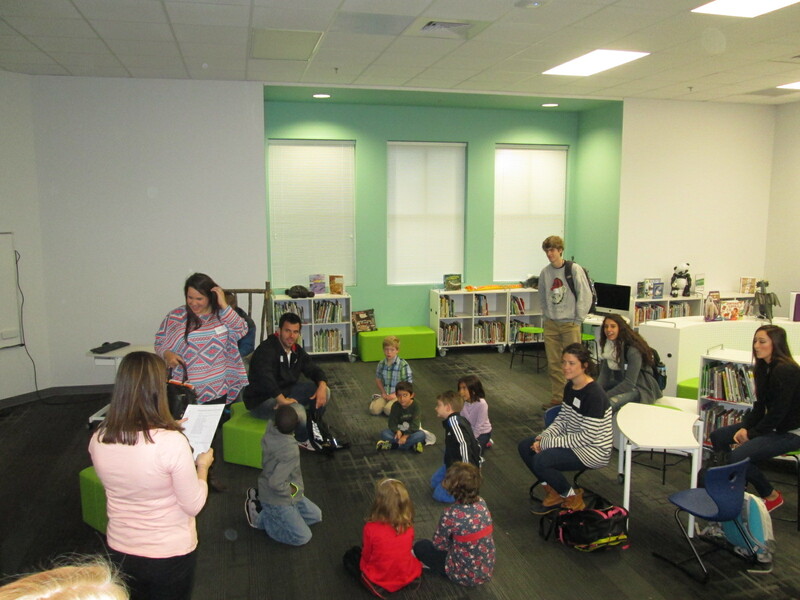 Last week a group from Gretchen Thomas’s EDIT 2000 class at the University of Georgia partnered with Caitlin Ramseyer’s 2nd grade class to work on research for the students’ GeniusCon projects. Students are answering the question: If you could change one thing about your school, what would it be? Students topics range from improving the lunch menu to healthier options to adding additional playground equipment to eliminating homework to starting school later in the day. Even students who share the same topic are taking different approaches to what they would change and how they would do it. 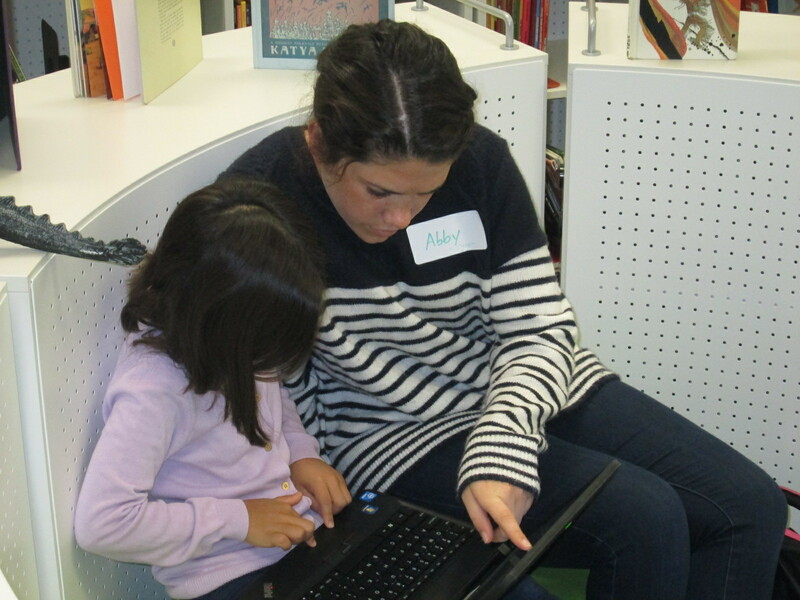 Today, a new group of Gretchen’s students came to work with the 2nd graders. Last time, most 2nd graders went through their lists of questions and answered them with their own thinking. 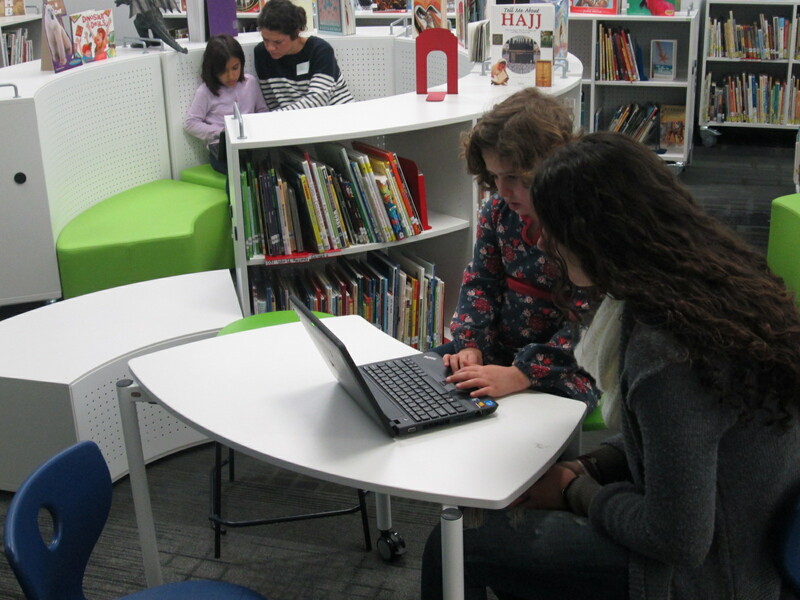 Today’s focus was to move to researching online and in books as well as developing next steps. 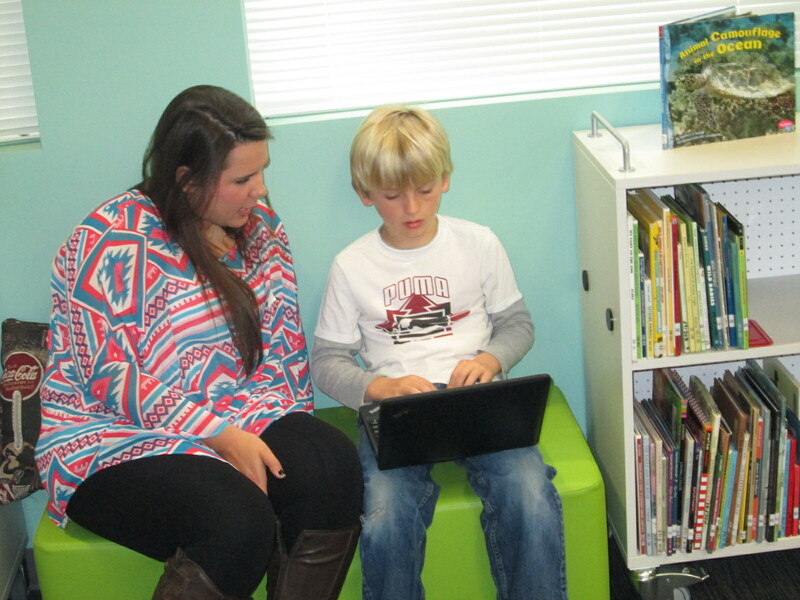 I loved walking around and seeing some of the online reading that students were doing with their partners. I also loved seeing how the UGA students interacted with the 2nd graders and how they helped to keep our students focused and thinking. 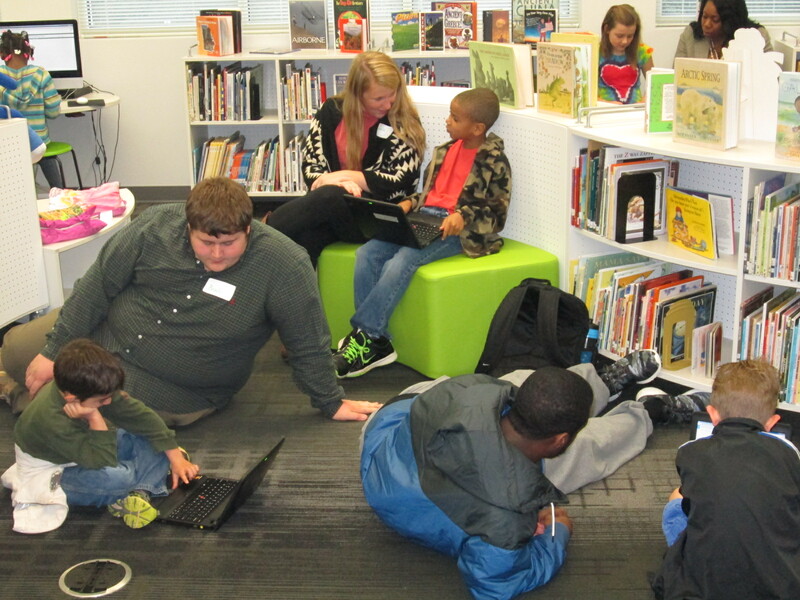 Of course, the UGA students learned a lot too about how much our students know about using technology. Some of those next steps involved created Google form surveys that could be emailed out. Some students crafted emails to send out to the lunchroom or the principal. We asked students to wait before sending anything out. The main reason in doing this was to spend a little more time thinking through the content of the email or the survey. For example, one student had one question in her Google form asking students if they would like more access to the 3D printer. She was ready to send it out, but after talking with me, she realized that if students wanted access to the 3D printer, we would have no idea what they wanted to do with it. Our conversation pushed her to think more about her survey before sending it out. Similar conversations were taking place all over the library. At the end, Caitlin pulled her class together to debrief what they had accomplished. Catilin’s students will continue working on this project and our UGA partners will return again.